Hey y'all! I hope you had a great weekend! I have some serious spring fever now after we had a couple of weeks of warm temperatures. 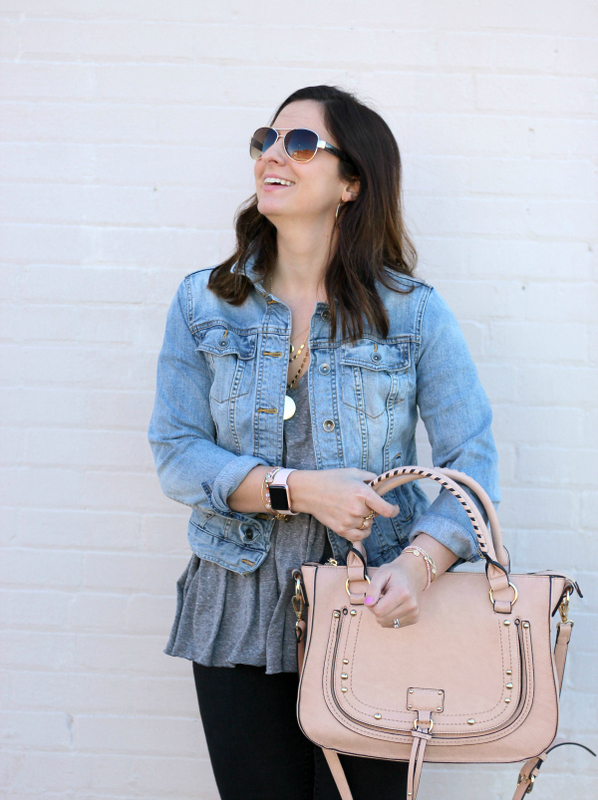 My wardrobe is now in transition and I'm squeezing in the new items I have purchased for spring and making them work now. 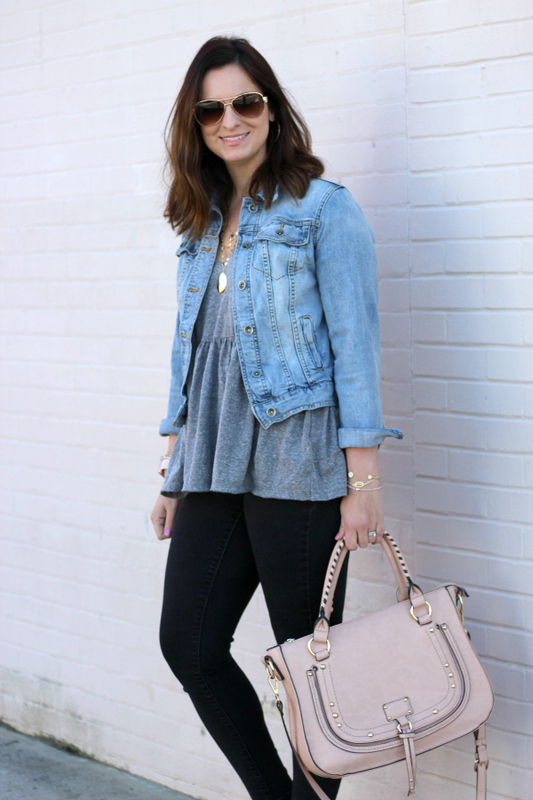 Throwing a denim jacket over a short sleeve top or dress is one of my favorite ways to transition into spring style (and not freeze in the process). 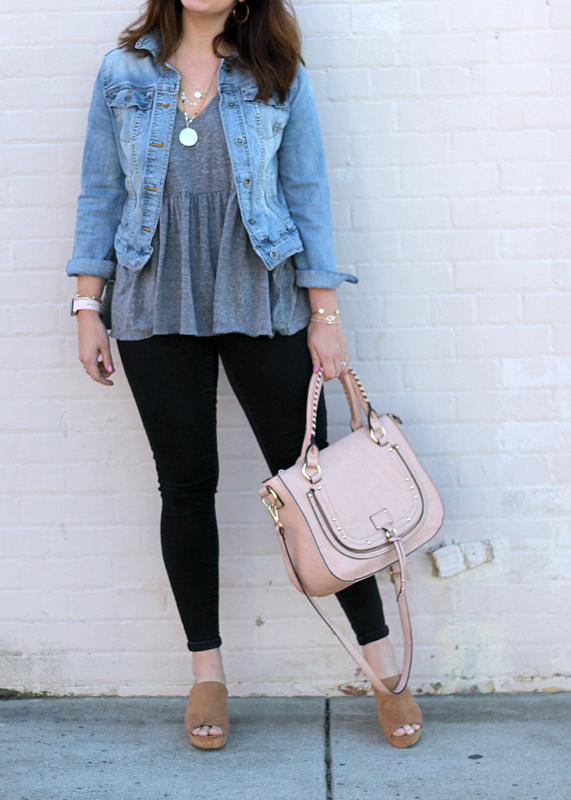 Today, I'm sharing an outfit that will be on repeat for the foreseeable future because it was one of those outfits that I put together effortlessly and I just felt really good in it. When you find an outfit that works for you, wear it often! 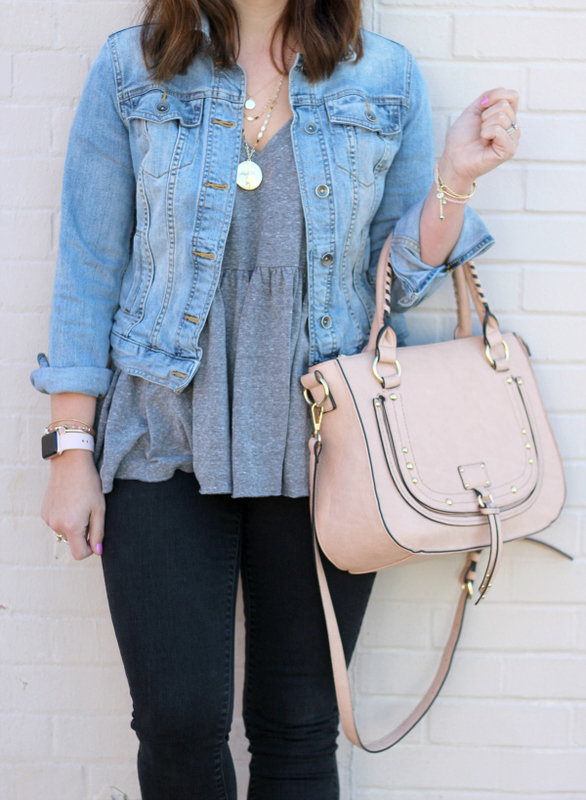 I layered my trusty denim jacket over this comfy oversized peplum top to make the short sleeves wearable right now. This top runs a little big but I like it that way so I stuck with my regular size. Sugarfix by BaubleBar sent me this gorgeous layered necklace to style and I thought it was perfect for the neckline of this peplum top. 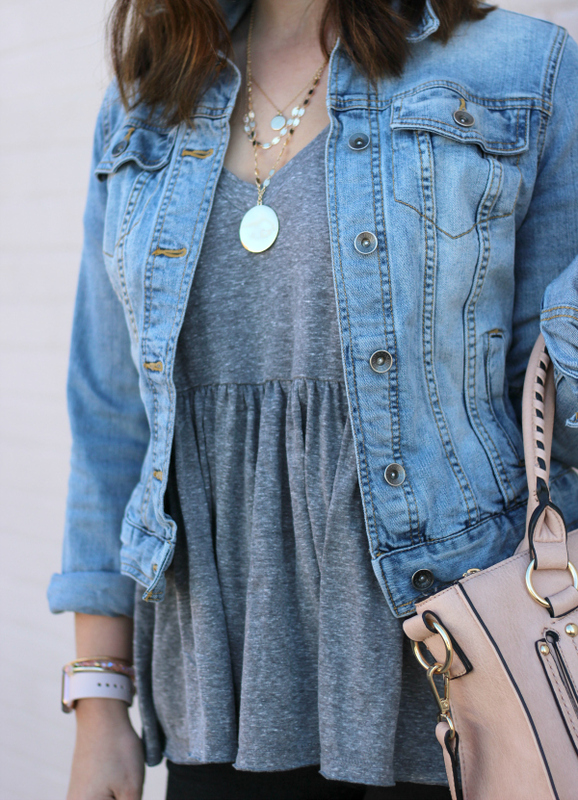 I absolutely love that this necklace makes a statement without being too overwhelming. The gold discs are so fun! Dainty gold jewelry is my absolute favorite. 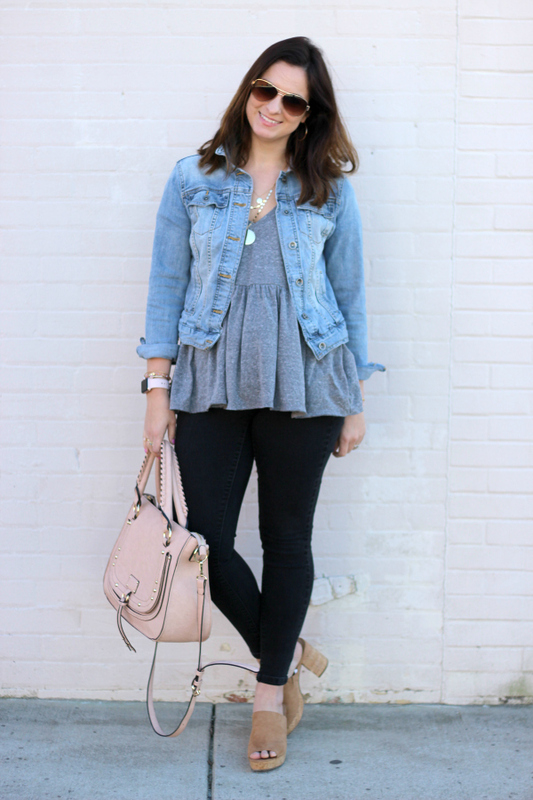 As much as I love this top and necklace combo, the shoes might be my favorite part of this look! These shoes were a serious impulse purchase while I was browsing Target.com last weekend. They immediately caught my eye because of the 70s vibes (I love the style of that decade) and the slip on style. 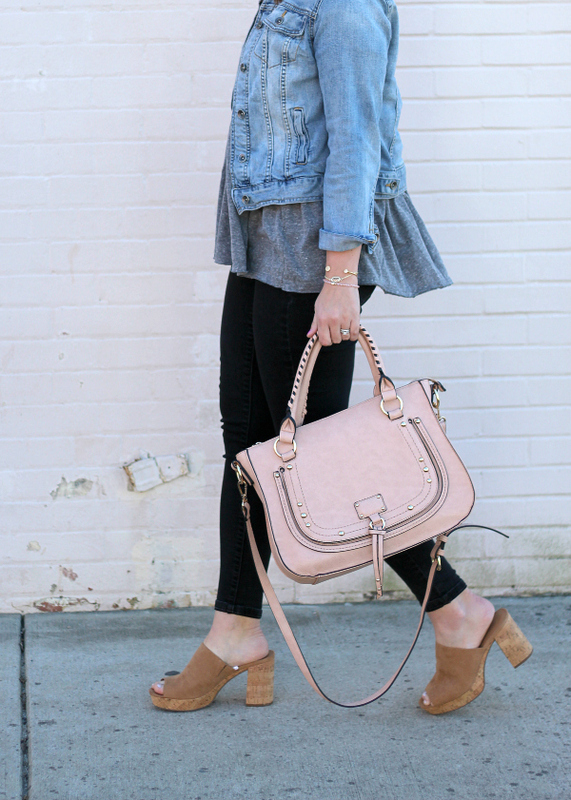 These cork mules will be perfect with jeans, shorts, and dresses this spring, plus this neutral color makes them work with any outfit! They also fit true to size and are actually really comfortable!